We were delighted to welcome First Minister Nicola Sturgeon to the Assembly Rooms, where she launched Oor Wullie’s BIG Bucket Trail! 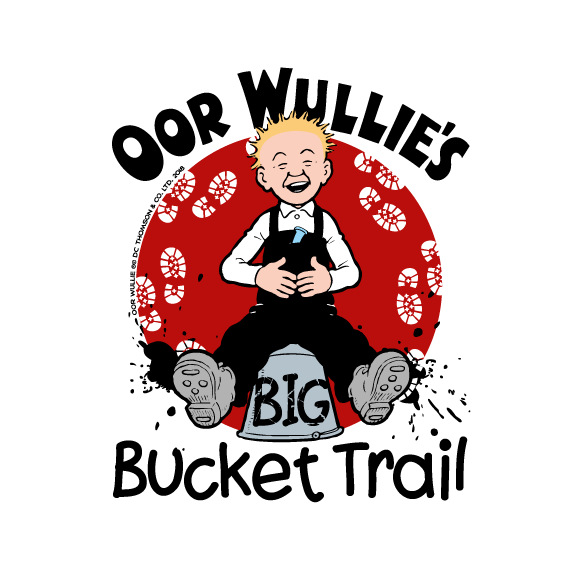 What is Oor Wullie’s BIG Bucket Trail? The biggest EVER art trail will take place in Scotland in Summer 2019. Oor Wullie’s BIG Bucket trail will be taking to the streets of Edinburgh, Glasgow, Dundee, Aberdeen and Inverness. 200 life-size, individually decorated Oor Wullie sculptures will be dotted across the country, waiting to be discovered, for everyone to enjoy! In association with Wild in Art and supported by DC Thomson Media, the trail will unite the country as it raises awareness and vital funds for Scotland’s national children’s hospital charities Edinburgh Children’s Hospital Charity, Glasgow Children’s Hospital Charity and The Archie Foundation Grampian, The Archie Foundation Highland & The Archie Foundation Tayside. With your help, and the aid of Scotland’s favourite son, we need to raise vital funds to transform the experiences of Scotland’s children and young people in hospitals, allowing them all to be a child first and a patient second.